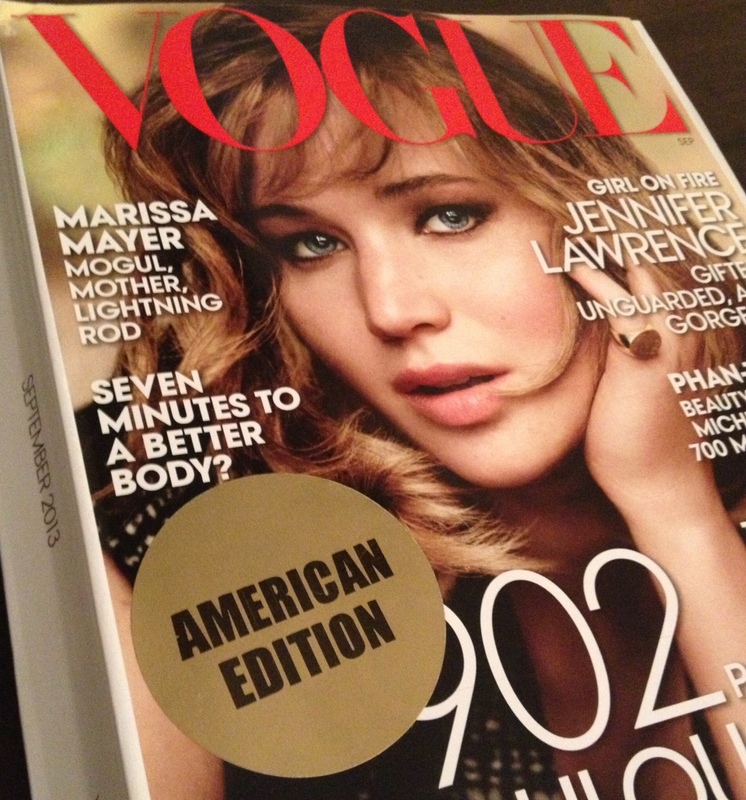 I realize it’s already October and the October issue has been on stands for at least, um, two weeks, but the September issue of American Vogue did not arrive in Ireland until… September. Imagine that. 3) I had a third justification for buying the magazine, but can no longer remember what it was. We’ll assume it was all the sustainable fashion (there was a lot, and this was the first time I pinned while reading a magazine). This entry was posted in Book as Object by Mandy. Bookmark the permalink.